With the latest flagship killer by your side, are you looking to pair it up with the best gadgets and gear that money can buy? Here is a complete buyer’s guide to the best OnePlus 5 accessories you need to get your hands on right now. Whether it’s the world of consumer goods or the massive tech market, brand power plays a significant role in more ways than one. The smartphone industry has long been dominated by the likes of Apple and Samsung, which makes the arrival of a relatively unheard brand like OnePlus to the top of the pack even more astounding. A brand that was nonexistent before the December of 2013, OnePlus quickly stepped up to the plate with OnePlus One, the first “flagship killer”. Offering premium hardware and build quality at a fraction of the price that most mainstream manufacturers were selling their flagship devices for, OnePlus has become synonymous with quality and value for money. 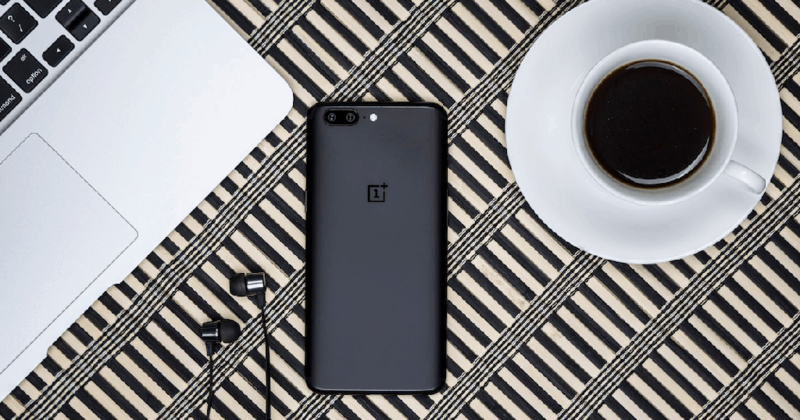 While becoming pricier with each iteration, OnePlus has charged up the features as well, which is represented in the OnePlus 5 perfectly. 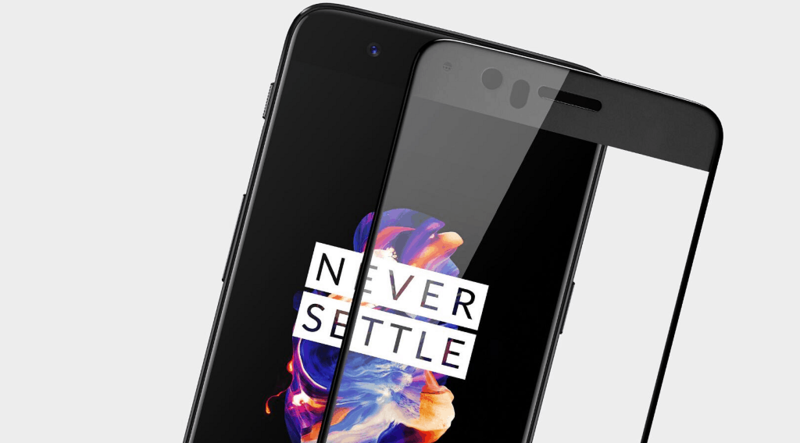 Equipped with hardware that similar, yet far more expensive devices like the Samsung Galaxy S8 and S8 Plus boast, OnePlus 5 manages to offer a larger-than-life smartphone experience for under the $500 mark. The only thing you need to consider after purchasing one of the best Android phones of this year is what accessories you’re going to pair it up with. Whether you have damage protection on your mind to keep that anodized aluminum chassis intact, or looking to power up your smartphone faster than ever with Dash Charge, here’s our guide to the best OnePlus 5 cases and the best OnePlus 5 accessories that you need to buy right now. While none of us want to scuff up the beautiful Midnight Black color on the OnePlus 5, hiding that gorgeously crafter metal body just seems criminal. Whether you’re a minimalist who prefers to keep the device protection to a bare minimum, or an outdoorsy person who needs their smartphone to toughen up, there are plenty of OnePlus 5 cases for you try out. 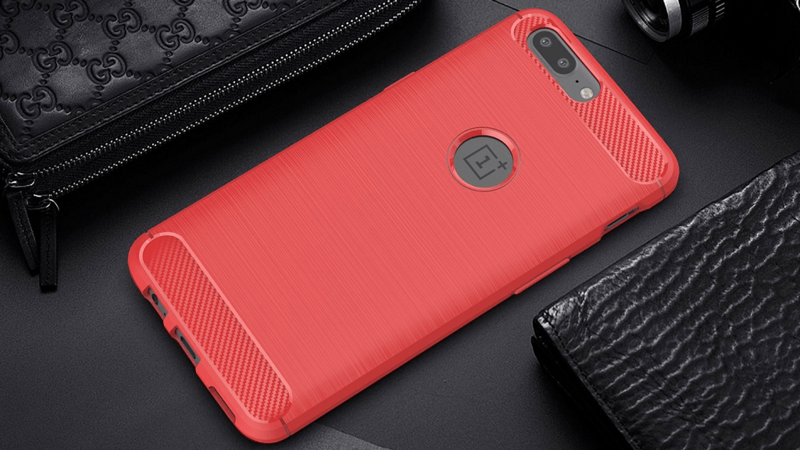 Ever since the company released its first smartphone, OnePlus has been loved and adored by its fans for releasing a bunch of iconic and unique cases for their devices. With the OnePlus 5 is no exception, the latest series of official OnePlus 5 cases are sure to make you salivate with their refreshing textures and eye-popping colors. 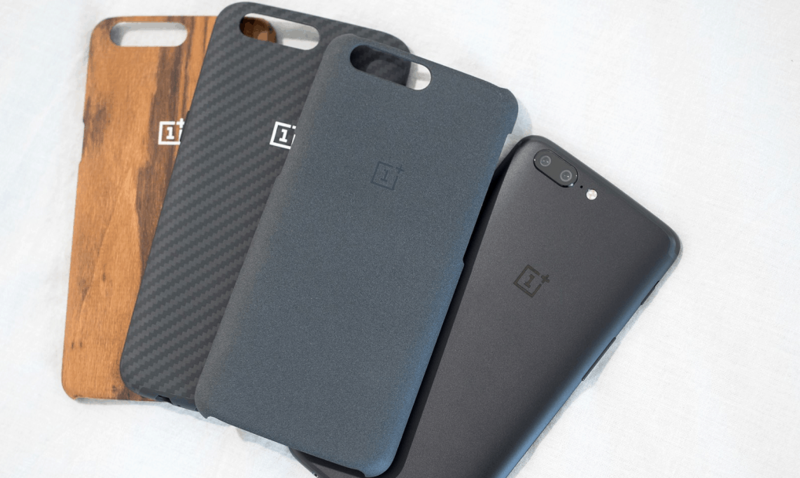 Bringing back the iconic lineup of Sandstone, Ebony Wood, Karbon, and the ecstatic Rosewood (we sure do miss you Bamboo), these super-slim cases are fitted in with a layer of industrial-grade kevlar and essentially snap onto the OnePlus 5 to offer a protective layer without hindering its beauty. However, OnePlus has added a couple more choices for users this time around, the first one which is the Silicone Protective case. Available in black and a dashingly smart red color scheme, you can also opt for the second choice, which is a traditional flip cover for the OnePlus 5, which is available in Black and Gray colors. Just the right case for the majority of us who believe that the OnePlus 5 is far too pretty to be covered up from all sides, but still worried about shattering their device into a dozen pieces. Designed with laser precision with premier Orzly material which is renowned for durability, the OnePlus 5 FlexiCase is your first line of defense against drops and tumbles. While staying lightweight in your pocket, the anti-scratch surface of the case keeps the looks of your phone intact. Although the transparent version of the Orzly FlexiCase is the most popular among the new OnePlus 5 owners, it’s relatively low price is sure to tempt you to buy a few of the other 5 color choices available. It’s the sad truth that despite the massive fan-following that OnePlus has created, it isn’t large enough to move the attention of mainstream accessory brands to itself. However, Otterbox one giant of the industry that has caught up with the latest trend and offers one of the few high-impact hybrid cases for the OnePlus 5. Comprising of a soft yet durable TPU layer paired with a robust polycarbonate shell, your OnePlus 5 can withstand scratches, drops, and heavy shocks with the Otterbox case. 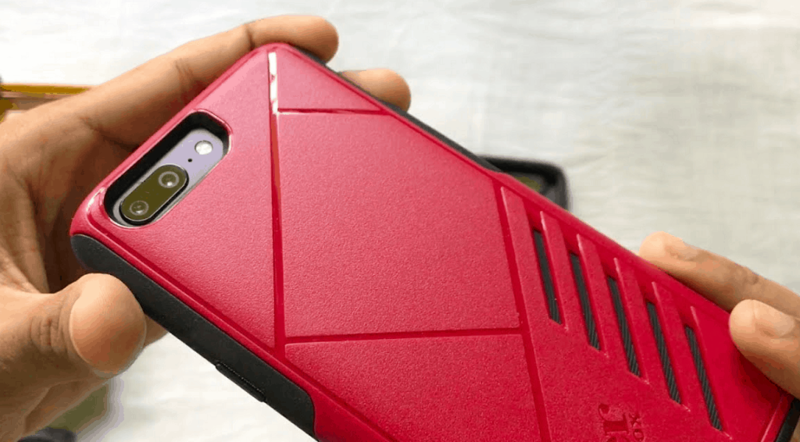 The case is available in Black and Red color combinations and while adding a bit of aesthetic bulk to the phone, it still manages to keep the phone ergonomically pleasing. You can either get the minimalism of a slim case or the protection of a rugged case in most situations, but Mangix offers a OnePlus 5 case that does both. While the case isn’t transparent for you to showcase your phone, it is made of a fairly lightweight TPU material that is just enough flexibility to snuggly fit the phone without adding many inches to the thickness. The carbon-fibre aesthetics fitted near the top and bottom panel of the back does give it a Spigen-like vibe, while the minuscule grooving all over this relatively affordable case gives you a good grip on it. At the end, the Mangix Ultra Slim case also comes with a cut-out on the back for you to proudly flaunt the OnePlus logo around. It isn’t new for a manufacturer to roll out a bunch of official accessories along with their flagship device, and the OnePlus 5 is no exception. While in most cases a third-party accessory would also do the job, when it comes to OnePlus, the official accessories do come with a few patented perks. Since most of these official OnePlus 5 accessories are as reasonably priced as the smartphone, your wallet won’t feel the brunt of it. 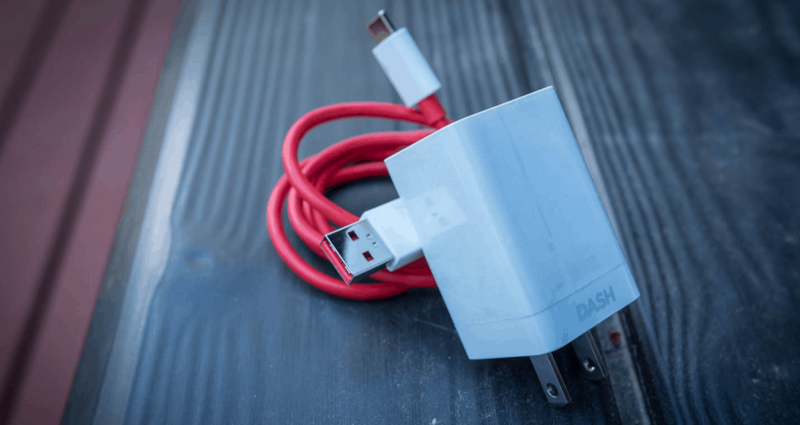 Patented by its sister company Oppo and borrowed by OnePlus 3 last year, Dash Charge technology is considered to be even faster than the latest Qualcomm Quick Charge 4.0 equipped in the Samsung Galaxy S8 and S8 Plus. If you are still using your old USB Type-C cable and haven’t unboxed the charger and cable yet, do it right now! Getting your OnePlus 5 all charged up from 0%-60% in just half an hour, Dash Charge is designed to dissipate heat right from the adapter so that your phone never gets warmer. While the fact the OnePlus smartphones come with a pre-applied screen protector is awesome in its own sense, some of us do appreciate an extra layer of protection. However, the biggest problem with the modern smartphones is that while their curved 3D glass offers pleasing aesthetics, applying a glass screen protector becomes virtually impossible. OnePlus has taken a step further and solved this problem by offering a glass screen protector with curved edges to fit your smartphone perfectly. Engineered with 9H hardness to survive scratches and brutal impacts, the 3D tempered glass screen protector for OnePlus 5 is designed for maximum optical clarity. If you already own a car charger, what could possibly convince you to get the Dash Car Charger that costs more than the average brand? If you prefer to have your OnePlus 5 juice from 0 to 60 in 30 minutes, then getting the Dash Car Charger is a no-brainer. Crafted with the same anodized aluminum that the OnePlus devices are, this car charger comes with a mirror finish on the front to give it the premium look. 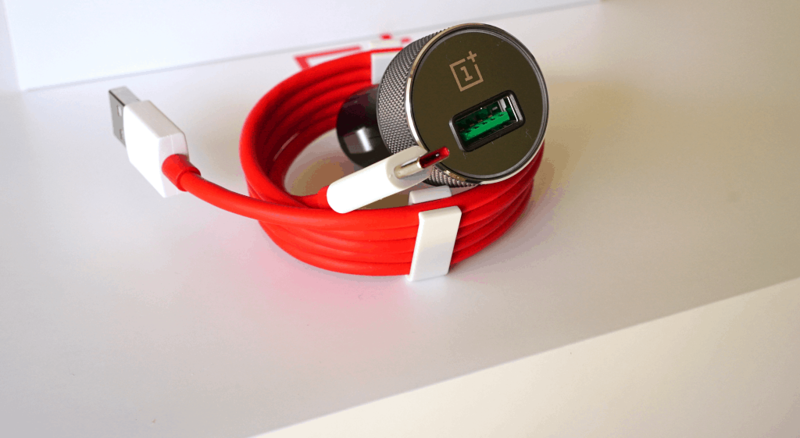 Since even the best chargers are notorious for being sluggish in charging up devices, the quick charge technology exclusive to OnePlus will feel like a fresh breath of air. One of the caveats of getting the affordable OnePlus 5 is the fact that it does not come with earphones included like all other flagships. However, OnePlus does know the importance of a good sounding pair of headphones, which is why you can get yourself the OnePlus Bullets separately for a relaxing music experience. Designed with the German audio experts LOFO, the minuscule 2gm chambers are packed with ARYPHAN polyacrylate diaphragm for immersive sounds. 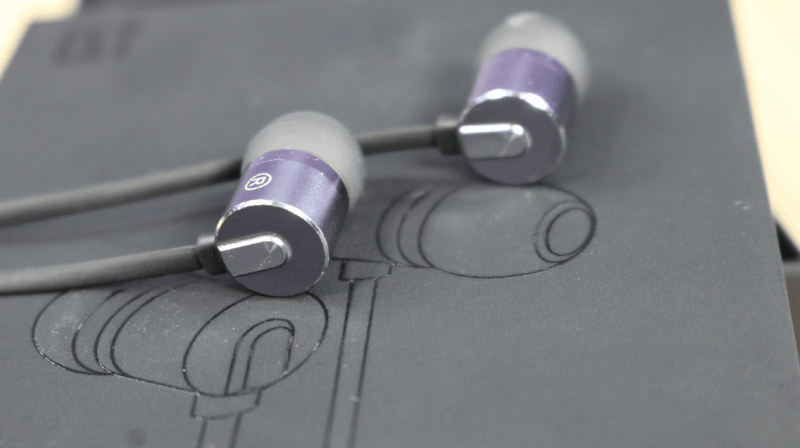 This paired with high-end Japanese black-copper and Zircon Sand sprayed earbuds will elevate the quality of your music experience to a whole new level. With the best OnePlus 5 cases and the official OnePlus accessories covered up, there’s very little room for anything else that you could possibly need. However, there are a few aspects where we feel that the flagship killer of 2017 could benefit from a few useful gadgets and accessories. While scoring a perfect 10 on most aspects, one element where OnePlus 5 has been less than perfect is the audio department, with just one bottom-firing speaker. 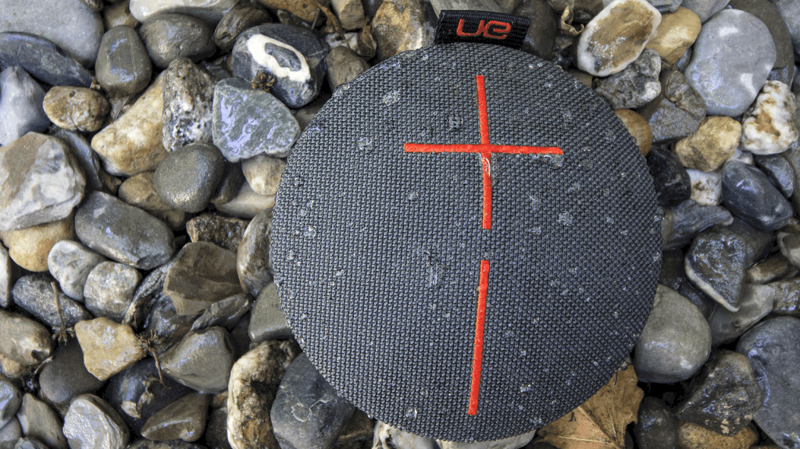 While it still manages to be loud enough for most, the true audiophiles among may need a product like the UE Roll 2 Volcano Bluetooth speaker. Powering off at an 85dBA sound level and Advanced Audio Distribution Profile technology that is built for smartphones, the UE ROLL is built to withstand a splash with the IPX7 rating. Although available in multiple color schemes, we loved the red and black combination as it matches the OnePlus 5 not only in style but with its affordable price tag as well. 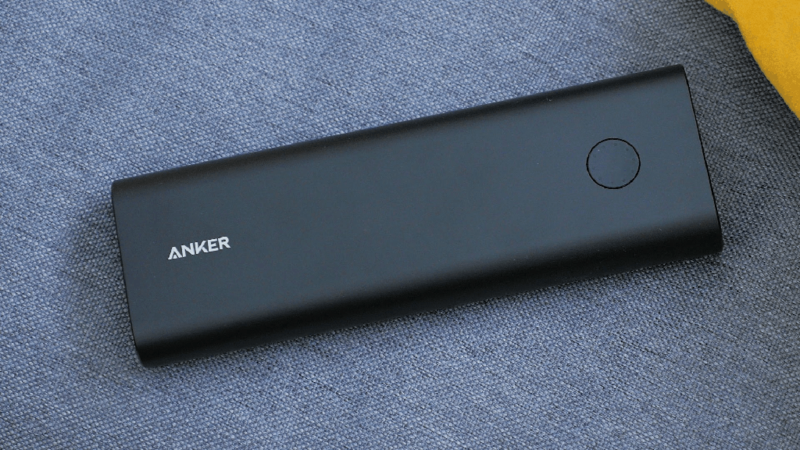 A few years ago OnePlus released its very first power bank at a fairly affordable price, and it sold out soon after. While OnePlus fans expected a power bank with Dash Charge technology to be released with the latest flagship, it turned out to be nothing more than a rumor. If you still haven’t picked up a juice pack for your OnePlus, the best one to get right now is the Anker PowerCore+. Packing a whopping 2100mAh capacity, the power bank comes with two USB-A and one USB-Type C ports, so you can quick charge three devices at once. With features like PowerIQ to identify fast-charge capable devices and VoltageBoost technology, you get the fastest portable charge possible. It may seem absurd to some that anyone could possibly need more storage space than 64GB or a whopping 128GB that the two OnePlus 5 models offer. 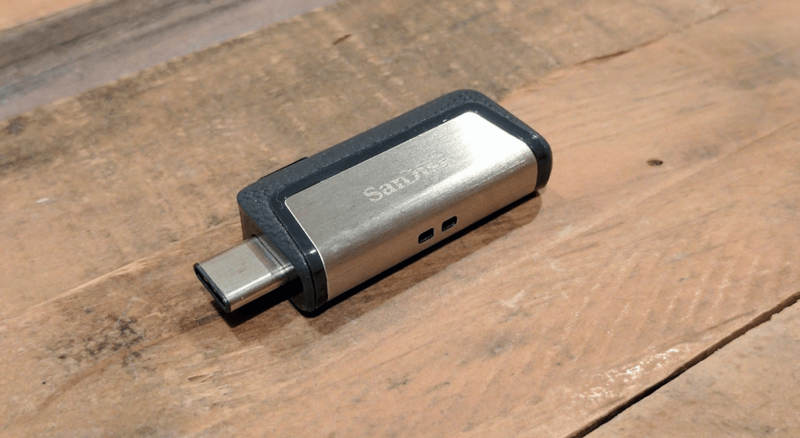 However, since the smartphone lacks any form of expandable storage, SanDisk offers the perfect solution to get more gigabytes on your mobile phone. Available in 16GB, 32GB, 64GB, and 128GB variants, SanDisk Ultra Dual Drive enables you to connect to your PC as well as directly to your OnePlus 5 using the Type-C port. With the ability to add several gigabytes of storage to your smartphone with just one plug-in, you get transfer speeds of up to 150MB/s, along with the SanDisk Memory Zone management app. Which among these fantastic OnePlus 5 cases and best OnePlus 5 accessories is currently adoring your smartphone? Have we left out an awesome accessory or gadget that deserves to be on every buying guide for the 2017 flagship killer? Do by shy and let us know in the comments section below, or start the very first thread on the Updato Forum for the OnePlus 5 accessories right now!